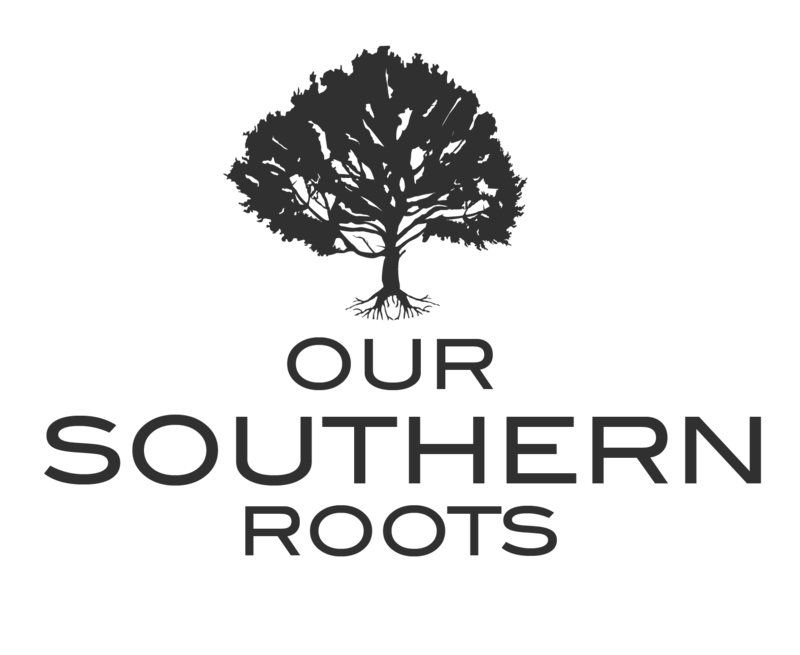 We’ve got a case of state pride here at OSR. Did you know that the world renown standard cast iron skillet, used by the likes of Martha Stewart and Paula Deen is made here in Tennessee? South Pittsburg, a small town just West of Chattanooga has been the home of the Lodge company for over 200 years. While they have a full line of enamelware and stainless steel cookware – it’s their original black cast iron skillet that made them famous. Cooking with cast iron is preferred by many cooks because the skillets can go from stove top to oven and they also conduct heat evenly when cooking. 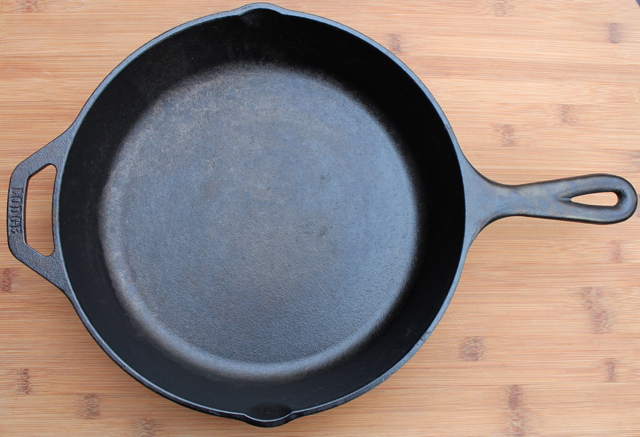 Cast iron is considered a much healthier and natural alternative to “non-stick” cookware which use chemicals to create an easy to clean surface. I love that cast iron skillets quickly get sizzling hot – which means crispy fried okra and golden cornbread crust. If well cared for – cast iron skillets can last for generations! Remember our friend, Kathy, who is still using her great-grandmother’s cast iron pans!? The Lodge skillet comes pre-seasoned, which is a pretty big deal. Seasoning cast iron involves penetrating the cookware with oil to create a natural non-stick finish and protect the cookware from rusting. Seasoning a pan isn’t impossible to do, but the fact that Lodge skillets come well seasoned from their foundry is a pretty nice feature for most cooks! The Lodge two handle design is a great feature for easy pouring and carrying. If you haven’t ever used cast iron, it can certainly feel like stepping out of your comfort zone… it’s heavy, it’s different, and it can feel a little bit tricky to figure out the do’s and the don’t of this product. Rest assured – the unchartered territory of cast iron cookware is easy breezy and once you have this basic skillet in your kitchen you’ll be grabbing for it every time the stove is on! Don’t ever use soap to wash your skillet. Soap will strip away the seasoned surface. If your pot needs more than just wiping out, use kosher salt and a rag to scrub away any tough stuck-on food. Don’t ever put cast iron in the dishwasher! Wipe out your skillet with a damp cloth and then rub the surface with a small amount of cooking oil (on a wash rag or paper towel) after each use. Make sure it is totally dry before storing to prevent rust. If your pan does develop a rust spot, just scrub it clean and then rub oil into the area to re-season and seal it. Use your skillet often, it only gets better with time! 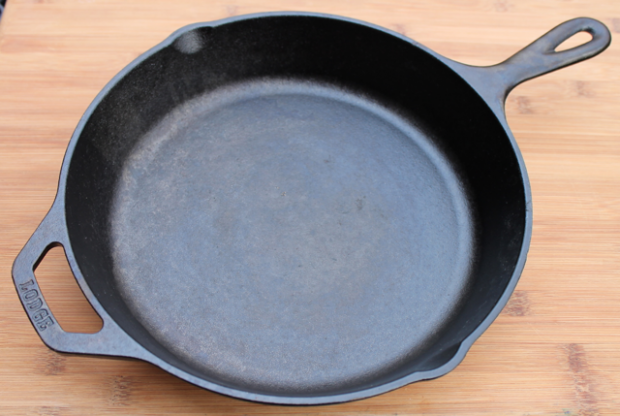 Tell us, are you a believer in cast iron? How old is your skillet? This post is ironic for me since I am reseasoning my cast in my oven right now. My skillet and dutch oven are only about nine years old. The last thing cooked in the skillet was funnel cakes but then it was left outside for a time, hence the reseasoning now. I plan to try to use my skillet and dutch oven more. Some foods just taste better from cast iron. I grew up with my Mama cooking on her Grandmother’s cast iron skillets…they came to us in a covered wagon ya’ll…It was drilled into me that it was absolute sacrilege to use soap on the cast iron OR the coffee pot…they are seasoned, sister! I have inherited those precious pieces, and enjoy using them every day. In addition is my Mother’s fabulous stainless steel cookware from the 1970s! Thanks for you comment FreshFrosting – we absolutely agree, no soap should be used on a cast iron skillet! Don’t know why, but food cooked in cast iron just tastes better – fried eggs immediately come to mind!